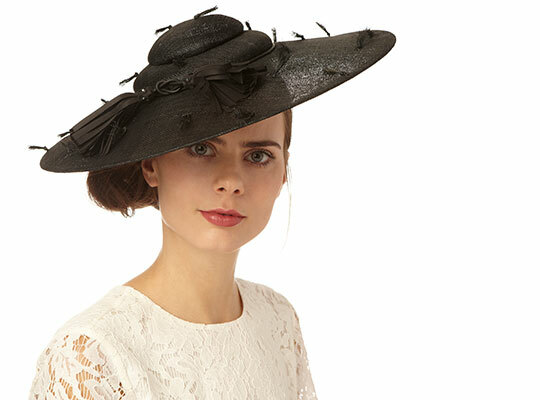 The Bromley Group is thrilled to welcome milliner extraordinaire Genevieve Rose Atelier to the family! The collection, designed & launched by designer Genevieve Foddy, enters the market when interest in couture level hats & fascinators are at an all time high thanks to a certain Duchess & her Prince who hail from both sides of the Atlantic. Foddy spent the last few year working under American milliner Albertus Swanepoel & before that at several houses in Europe before striking out on her own with her collection of couture level offerings for today’s bridal or special occasion affair. She’s one to watch & we’ll see to it that everybody knows just that!